In May, Governor Andrew Cuomo came to the Adirondacks to sign the paperwork that officially finalized the state’s purchase of the more than 20,000-acre Boreas Ponds tract from the Adirondack Chapter of The Nature Conservancy. The move was long-awaited and much applauded, as the land was the largest piece of property added to the forest preserve in a generation. The state Adirondack Park Agency, at its regular monthly meeting in October, released four possible land classification plans for the property. While all four plans called for at least half of the land to be classified as wilderness, the APA was widely panned for its lack of options. Local governments in the central Adirondacks were happy since three of the plans called for quite a bit of motor vehicle access, while the fourth plan, released the day of the APA meeting, was more restrictive. A coalition of green groups was upset that the APA had seemingly given up on classifying the lands as wilderness, but all lamented the fact that there was not a broader range of plans up for consideration. The APA has held public meetings around the state to take comments on the plans, and large groups of wilderness supporters have been vocal about their thoughts. The local governments, or Five Towns plan, known as Access the Adirondacks, calls for vehicle access to the ponds on the premise that the elderly and disabled don’t have many options to enter the backcountry and get the types of views that the Boreas property offers. 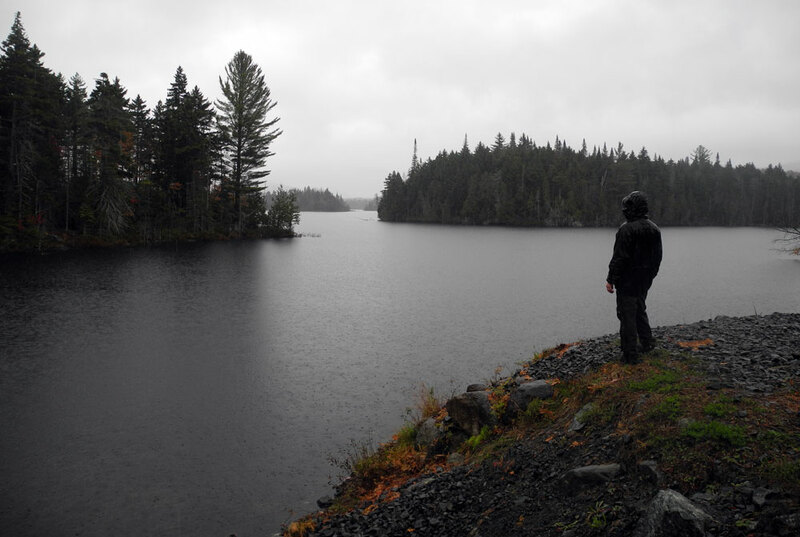 They cite the fact that there are miles of existing logging roads, and therefore at least the southern half of the tract should be classified as wild forest, which would allow vehicles and snowmobiles access to the ponds. On the other side however, a new group called Adirondack Wilderness Advocates is calling for the entirety of the tract to be classified as wilderness since Boreas is likely the last large addition that could be made to the state’s most restrictive land classification. In the middle is the Be Wild NY coalition of eight state and national groups. Be Wild put forth its own proposal that would allow some motor vehicle access, but not all the way to the ponds. The APA did not hold a December meeting this year, but it is possible that a classification decision will be made in early 2017. Once the APA classifies the land, then the state Department of Environmental Conservation will need to develop a unit management plan that will detail where trails and access points are, along with the overall type of uses that will be permitted.